Alongcamepollly: Another Day another Dollar.. This is a jacket that my mum bought in Zara a few years ago and gave it to me, it's one of my favorite things in my wardrobe because it goes with everything. 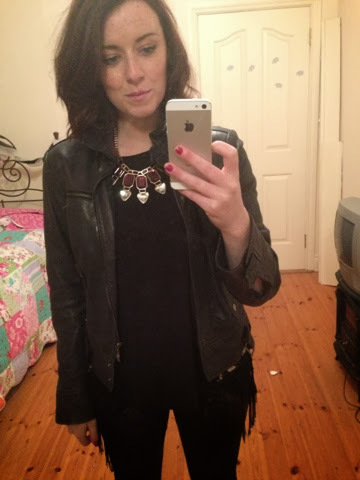 Black top underneath is from Dorothy Perkins, and the necklace us from Penneys. 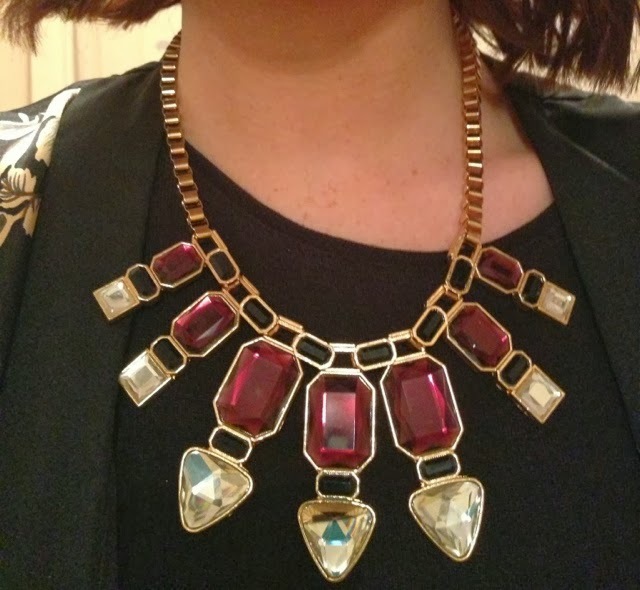 Close up of the chain, only €6 in Penneys today I love it, looks so much more expensive. 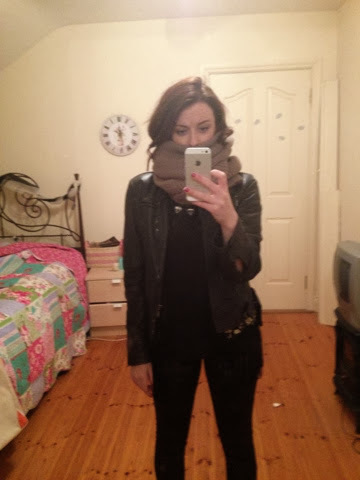 This is a full view picture, showing the leggings and of course, a pair of brogues. 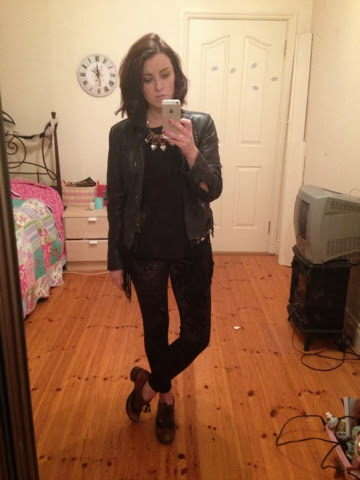 Leggings from Topshop, brogues Gerry McGuires. Im uber smug in this picture. 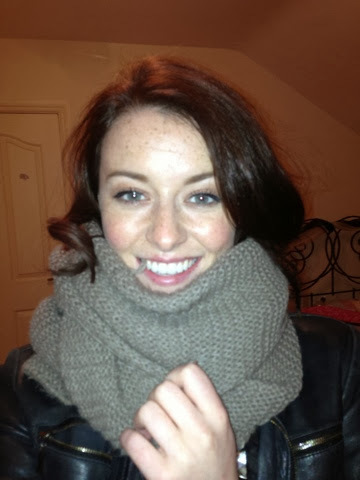 This really warm scarf is from Zara it's very long but I love wrapping it around loads of times for extra warmth! 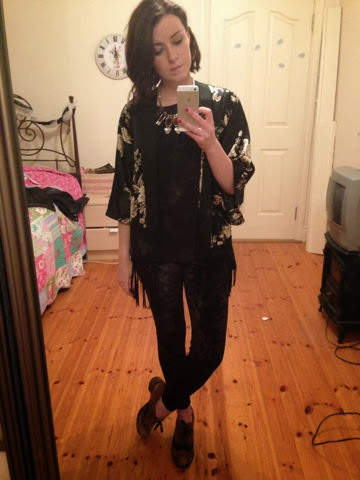 Sooo excited about not wearing black!